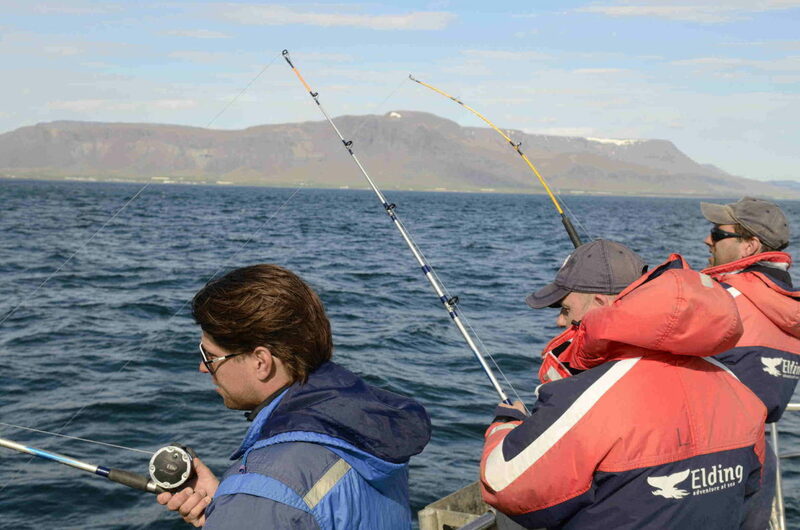 A Reykjavik fishing tour that’s fun for everyone. 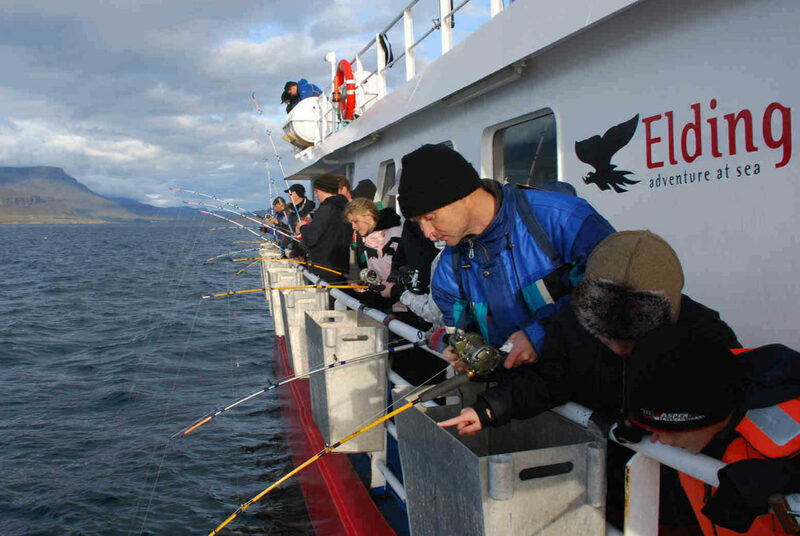 The Sea Angling tour is a 3 hour Reykjavik fishing tour that’s fun for everyone. The tour commences at Elding ticket office by the Ægisgarður pier in the Old Harbour in downtown Reykjavik. There you can buy tickets or exchange a voucher for a prepaid trip. This tour is a must do for first timers and experienced fishermen alike. Just breathing in the fresh air, being out in the open ocean and catching your first fish of the day make this an experience you’ll never forget. One of our expert guides will meet you on board one of our smaller vessels, docked at the floating pier in front of the Whale Watching Center. We will take you to the best fishing grounds the bay offers, teach you all the best techniques while sharing our experience and personal insights. On board, you’ll get all the fishing equipment you need and a rain jacket to keep you dry. 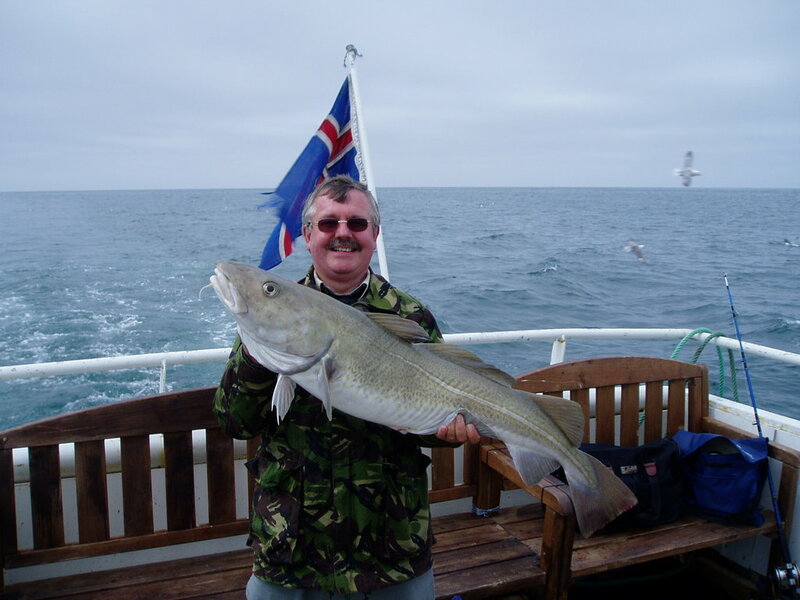 The most commonly caught fish is catfish, cod, haddock, mackerel and pollack and of course what you catch, you can keep. At the end of the tour, our crew can BBQ a small taste of the fresh catch for you on board. Read more about our most common catches here. No previous fishing experienced or license is required. If needed we’ll teach you all the best techniques while sharing our experience and personal insights. We recommend wearing clothing that can get dirty, good sturdy shoes and other appropriate clothing. 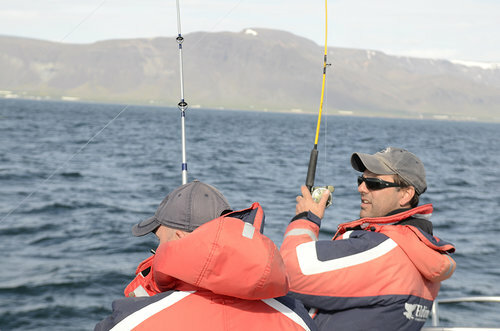 Our sea angling tours are focused mainly on the southern part of Faxafloi, just off Reykjavik. These fishing grounds have attracted Icelandic fishermen for centuries and been an important source of nourishment for the locals. Our captains know the area better than any other and guarantee you a fantastic experience. 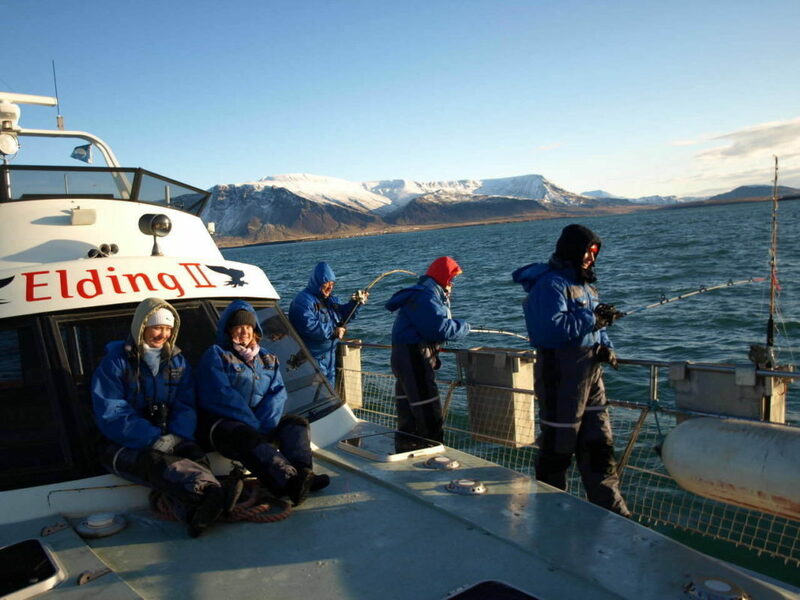 A three hour whale watching adventure departing from Hlesgata harbour in downtown Reykjavik. We sail into Faxafloi bay in search of minke and humpback whales, dolphins and harbor porpoises. On this tour you will also experience the spectacular views of the mountains and islands around Reykjavik as well as the wonderful bird life. Glacier Lagoon is one of the most amazing natural wonders of Iceland. Experience a day full of glaciers, icebergs and waterfalls at Iceland's jewel.